A lamb born without its own wool coat is being kept warm in a borrowed fluffy fleece. 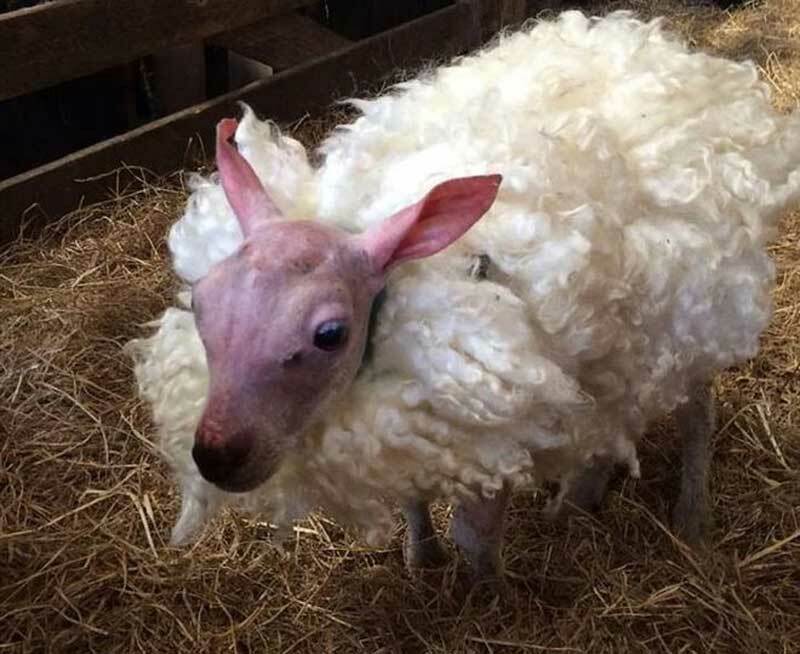 The lamb, nicknamed Skippy because "he looks like a kangaroo", was born on a farm at Chilton Foliat in Wiltshire. Described as a "freak of nature" by farm hand Sally-Ann Fisher, Skippy was "completely abandoned" by his mother and is now being hand-reared. Ms Fisher said: "We've made a little jacket for him to wear out of an old jumper to keep him warm at night." Ms Fisher, who farms with her partner near Ramsbury, said the lamb had been born 10 days ago but they were "not aware" that its lack of wool was a condition or a "health problem". "He's just unlucky, but he's doing great," she said. 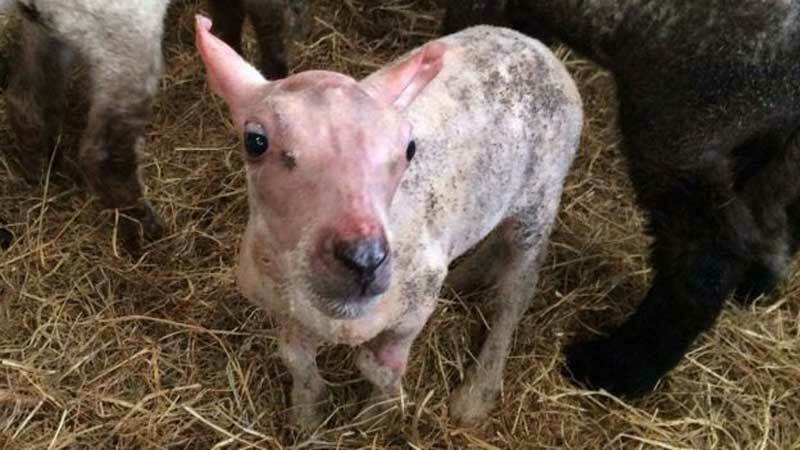 Hannah Park, from the National Sheep Association, said the condition was "not common". "Some breeds with less wool might be susceptible but it is extremely unusual and not something we would see," she said.